My second trip to London did not leave me much time to go around and see anything as I had too much work in my hands. My last full day there though, held a special surprise. 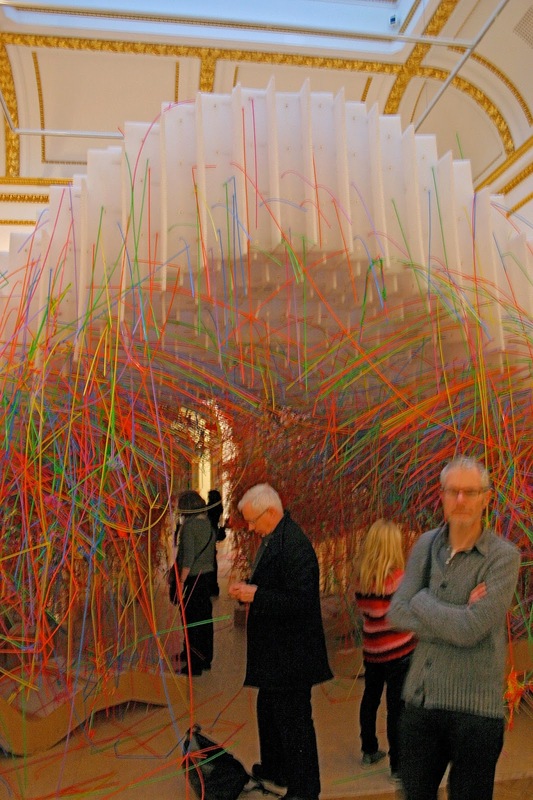 In between the opening of the fair where I'd successfully supervised the stand building for one of our clients and a business meeting, I managed to see an exhibition I wanted to catch since the previous trip here, Sensing Spaces at the Royal Academy of Arts. The exhibition ended on the 6th of April 2014. 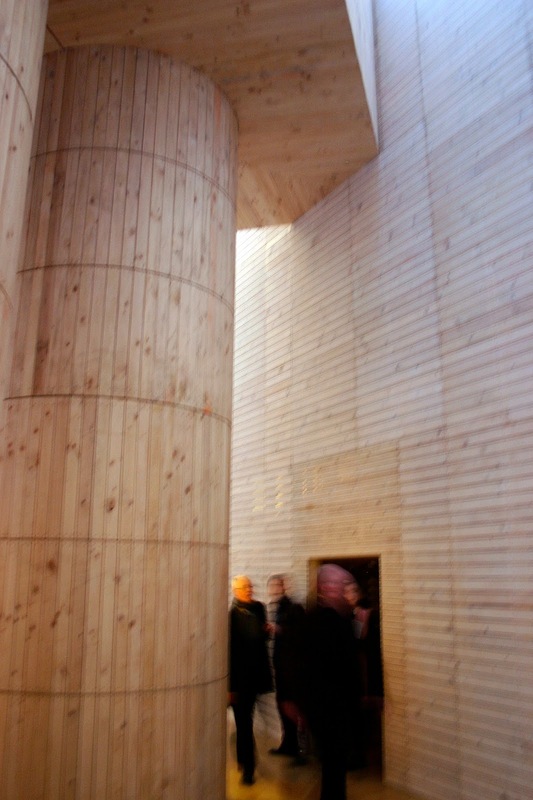 All photos were taken from me except the Kengo Kuma one which is from the exhibition website. 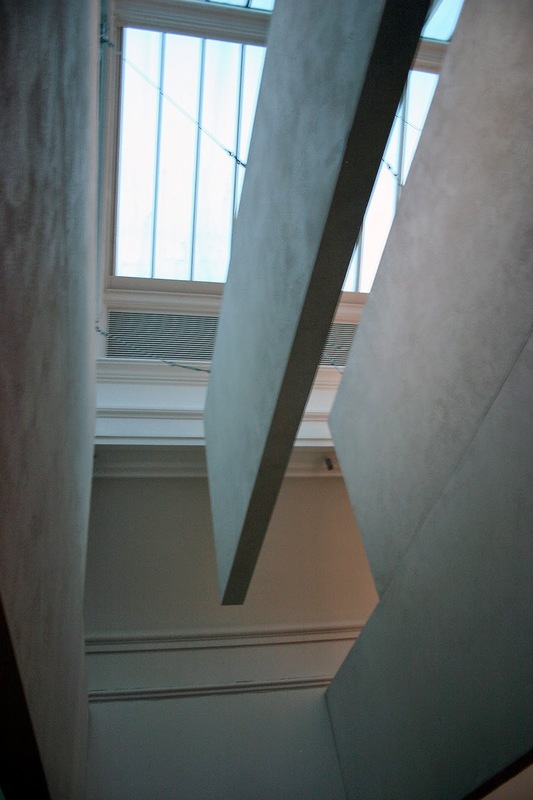 The main galleries of the Royal Academy were transformed by installations created by seven architectural practises from around the world: Grafton Architects, Diébédo Francis Kéré, Kengo Kuma, Li Xiaodong, Pezo von Ellrichshausen, Álvaro Siza and Eduardo Souto de Moura (in no particular order). 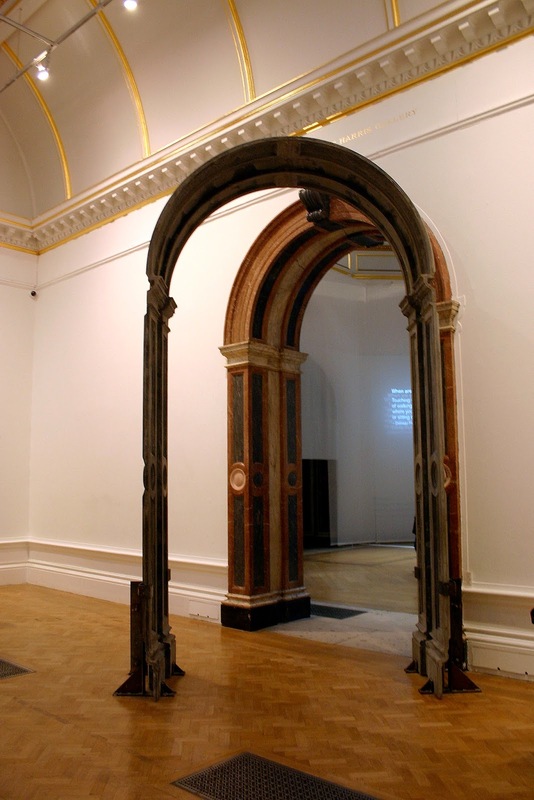 These installations set out to evoke the experience and power of architecture within a traditional gallery environment. As our daily activities of working, sleeping, being entertained, usually happen withing architecture, sometimes even interacting with it. Buildings are an ever-present background to our lives. The visitor of this exhibition now has an architectural experience in a specifically built space - inhabiting it in a new way instead of the functional or visual way of everyday life might be. 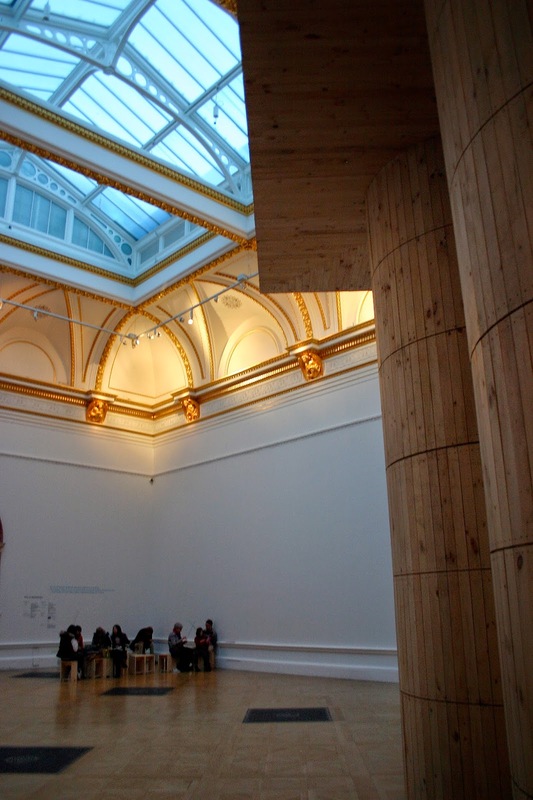 Upon entering the gallery and seeing the magnificent wooden structure by Pezo von Ellrichshausen (see photos above) with the four huge columns and it's robust upper balcony, it felt like being Alice the architect in the wonderland of Architecture. Pity there was no Mad Hatter to serve us tea! Architectural exhibition usually display drawings, photographs and models of the works produced by the participating architects. In that way, the visitor is distanced from the direct contact with the buildings. The physical exploration of them though is usually the key to understanding them. In the real world, one sees buildings, enters them, move inside them, inhabit them. Appreciating their qualities takes time, sometimes changing in the process. 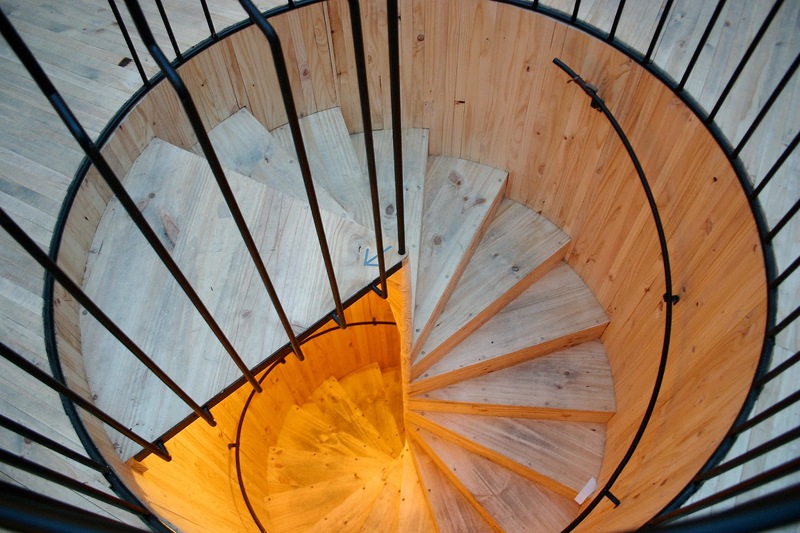 The sounds, smells, materials, views and volumes of the buildings tackle our senses and become part of the whole process. In this exhibition, instead of models and photos and drawings, we got to see the real thing: the "buildings"themselves. 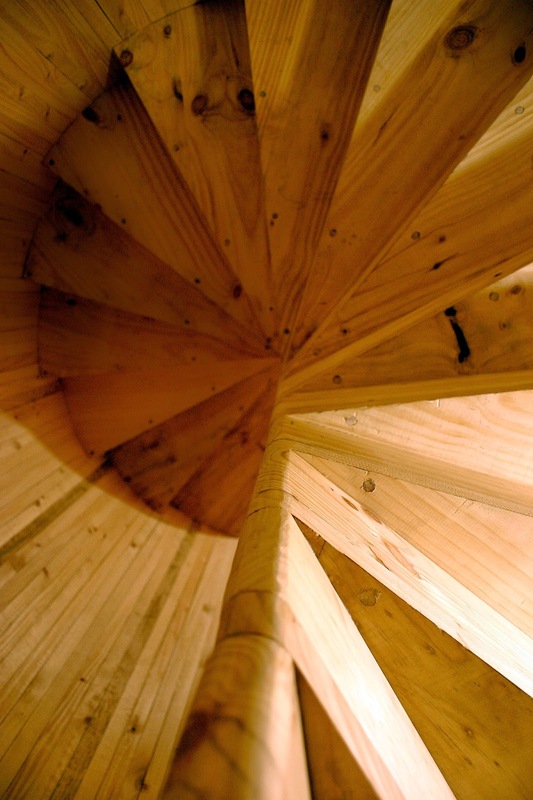 We got to experience the nature of the physical spaces, interact with them. The curator said that in the heart of the exhibition is the interaction with three factors: the nature of physical spaces, our perception of them and their evocative power. 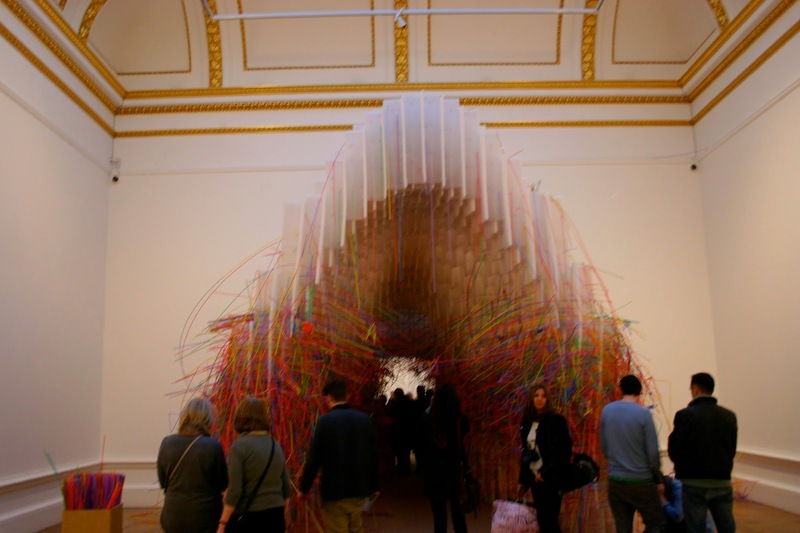 The installations we experienced (because we did not simply see them) highlighted different aspects of architecture: from manipulating light, mass and structure, to transformations brought about by use, movement and interaction. The selection of the architects was made based on their engagement with how architecture might move beyond the practical and functional to address the human spirit. 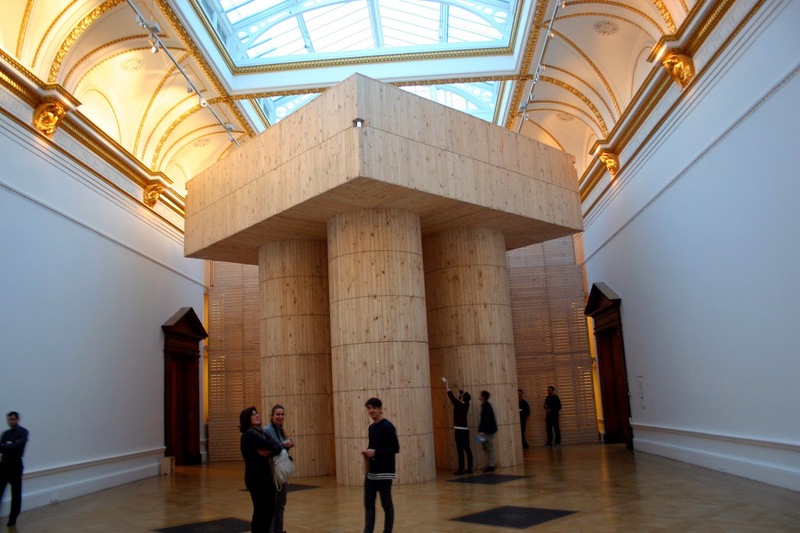 They consider how people will inhabit their buildings, how human body and its senses responds to their spaces. They use their appreciation of history to create buildings that acknowledge the past but also are highly meaningful within the present. 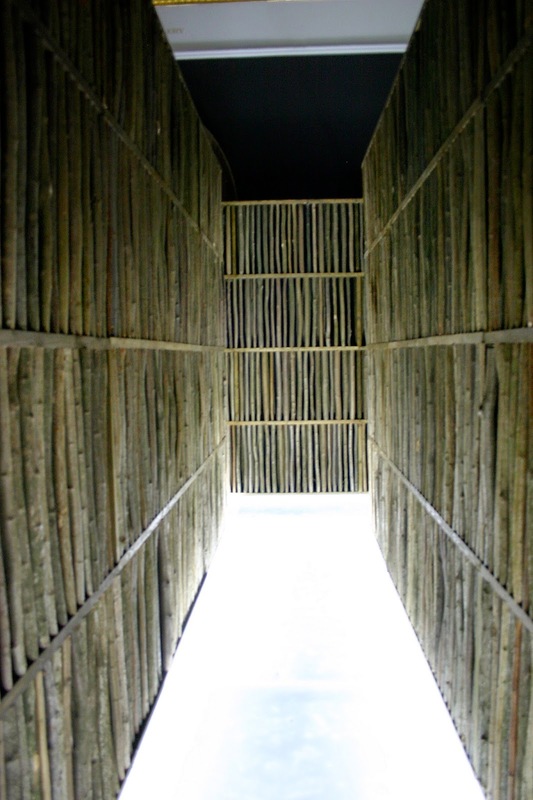 Their works are strongly anchored in their contexts: from the urban or natural landscapes in which they are located to the cultures and traditions that surround them. The architects' different geographical, generational and cultural sensibilities enrich the array of perspectives and encourage a broader understanding of what architecture can offer us. 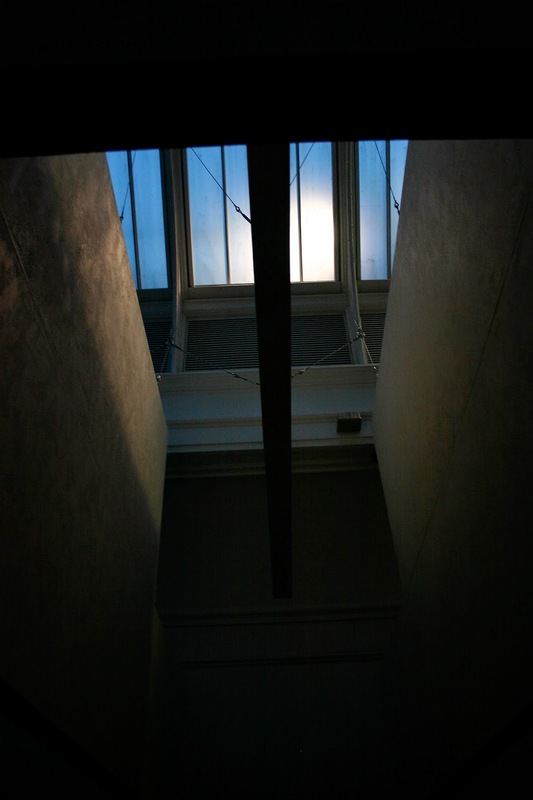 Kate Goodwin, the curator of the show, conceived the exhibition in a spirit of enquiry, having had discussions with the architects and developed it through the process of design. 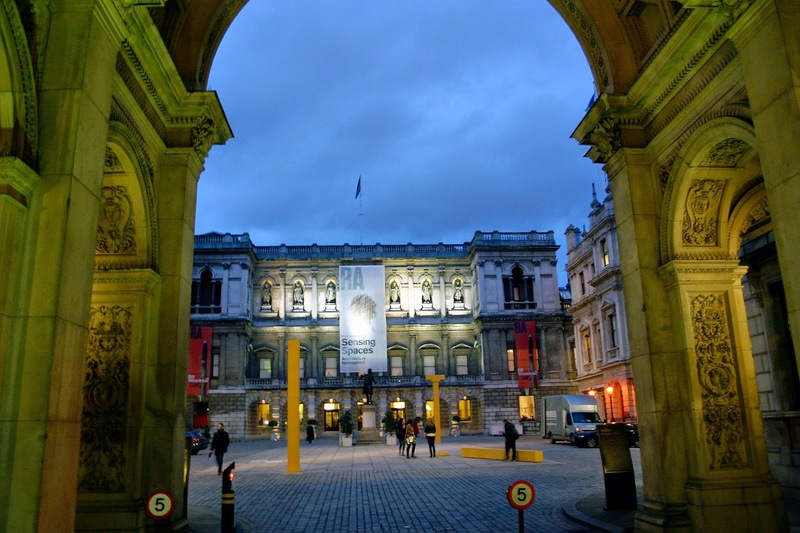 Each architect worked with an open brief: to explore the potential of architecture, its relevance to people, the connections it evokes, and how these might be conveyed using architectural constructions within the Neoclassical galleries of the Royal Academy. Each one proposed initial ideas which then found homes in particular places and evolved in response to their location, setting up dialogues with each other and the existing spaces. 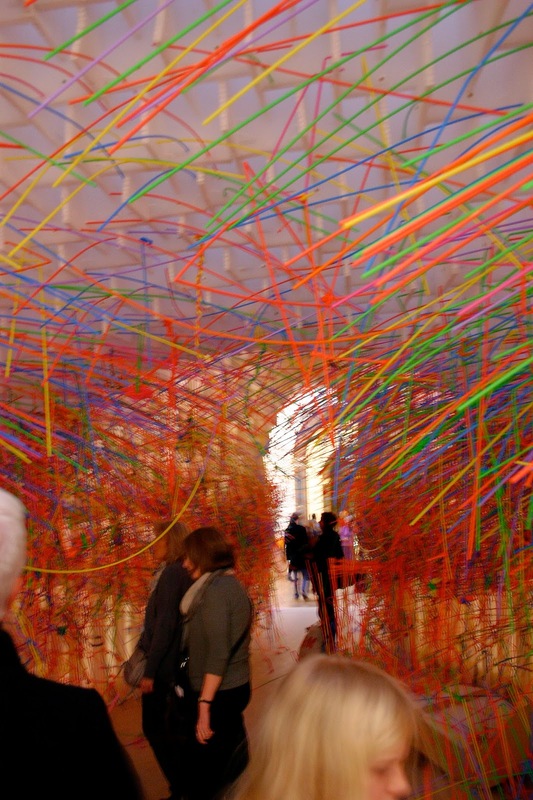 This resulted in installations that individually and collectively suggest the potential of "architecture reimagined", which is used as the subtitle of the show. The exhibition might be likened to a city, gaining its vitality and character from the ensemble as much as from its individual elements. And of course, like all cities, it needed people to bring it to life. 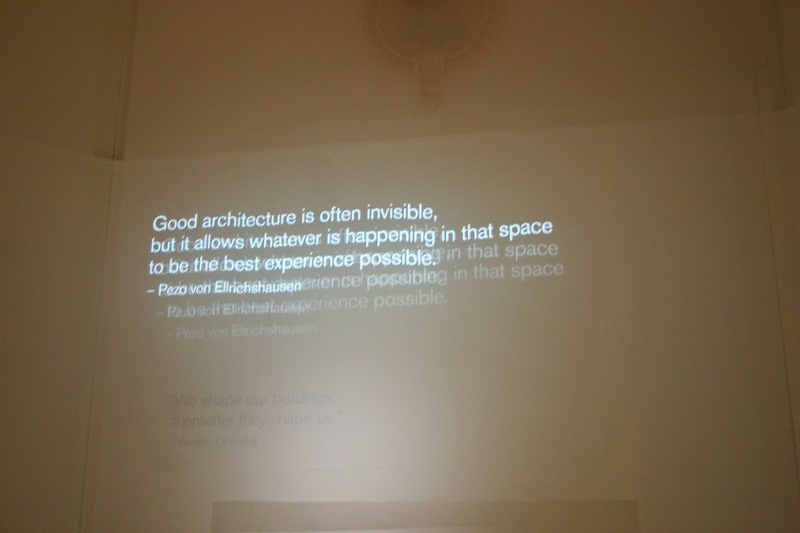 The curator writes that the architects were invited to create the spaces but this in no way implies that architecture is the sole territory for them. 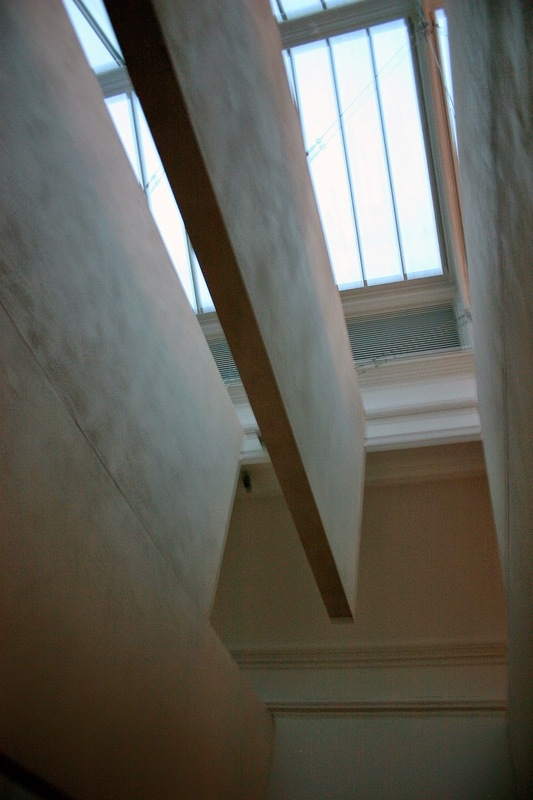 Our responses to buildings or spaces are neither determined by the architect nor inherent in the architecture itself. 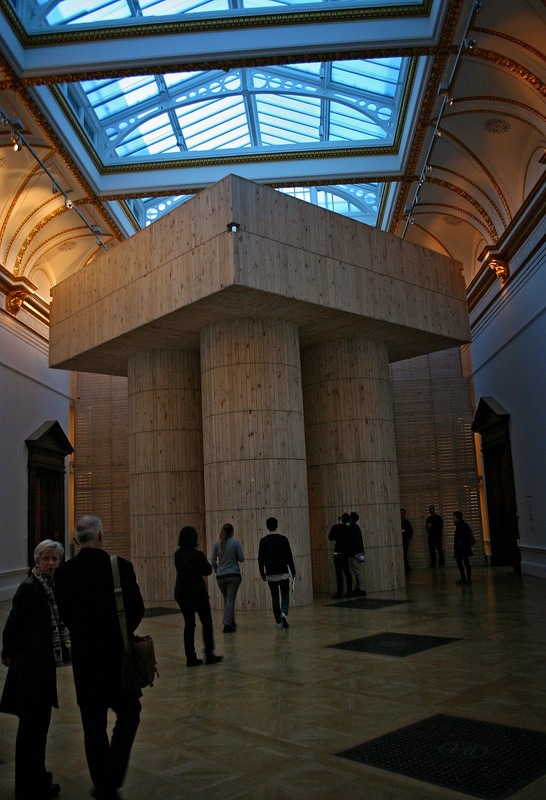 Although the exhibition demonstrates each architect's intentions, it is equally concerned with what visitors discover exploring the installations and responding to them. 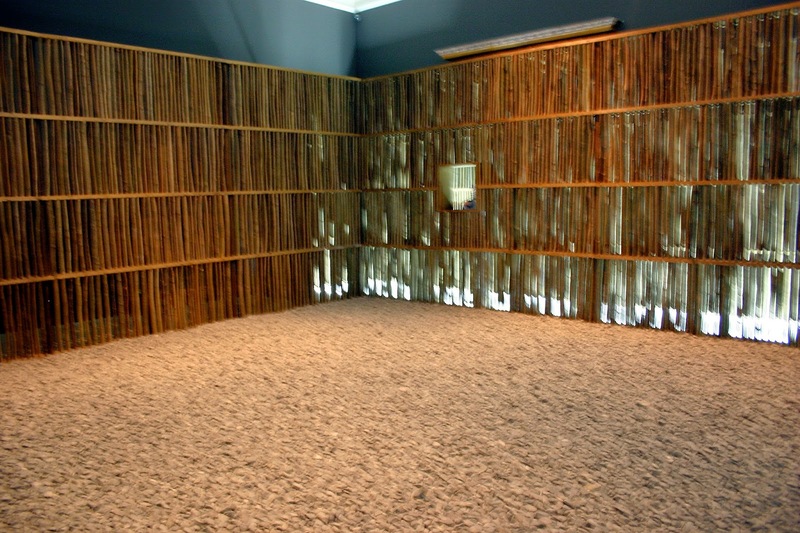 This was perfectly clear in the installation of Diébédo Francis Kéré: Made of a base consisting of honeycombed plastic panels (1867 pieces!) 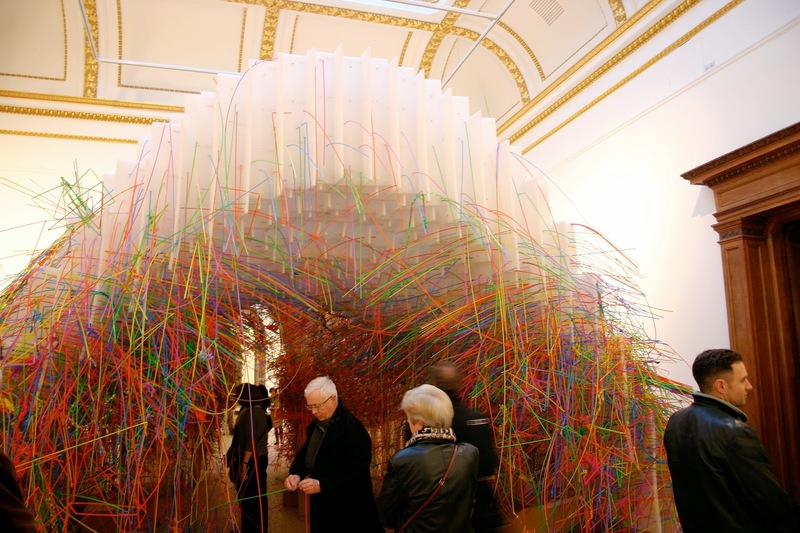 forming a tunnel of sorts, it accommodated a myriad of coloured plastic straws of various lengths, that visitors were free to put onto the structure in any way they wanted. 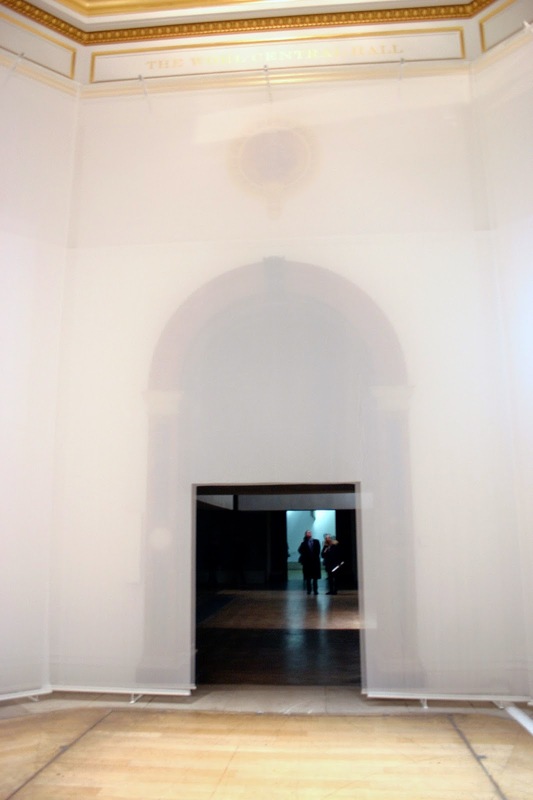 The result was a living structure that changed every moment of the exhibition, from the beginning till the end. I am happy to have been a part (albeit small) of this! 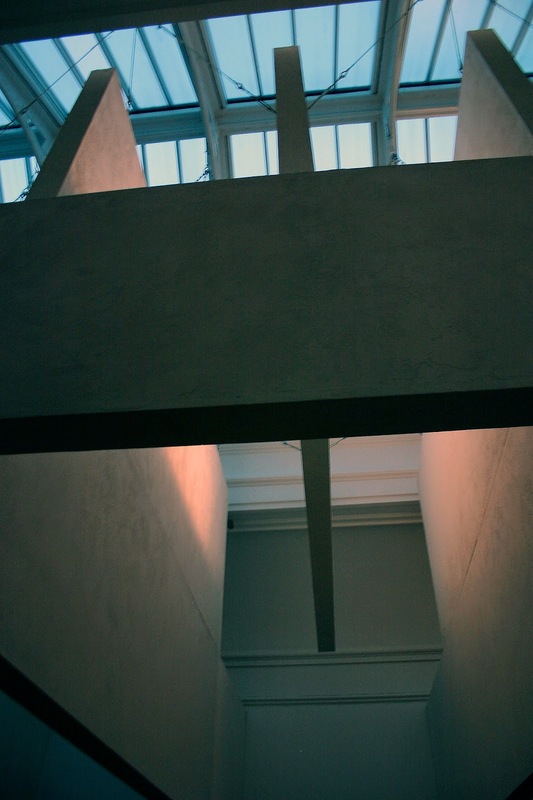 One can see that the higher parts of this particular structure are left empty as people cannot reach them. Maybe they should have provided a scaffolding of some kind to help use them too. 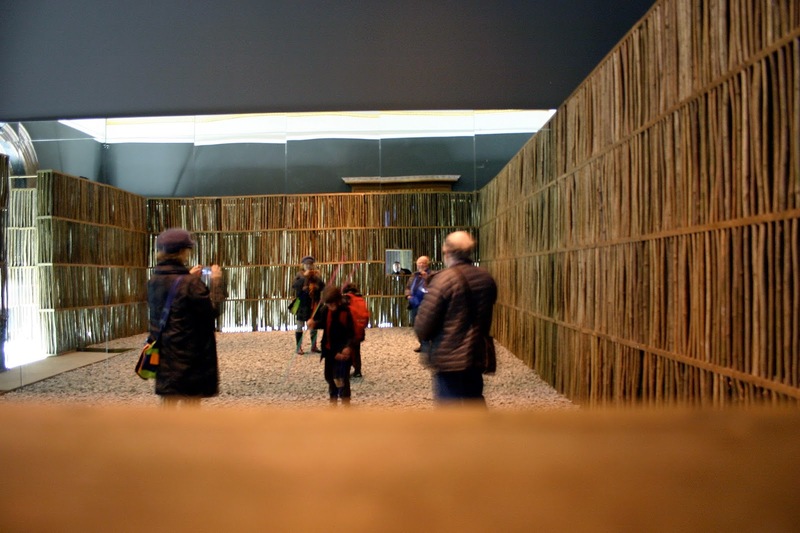 As well as enabling the visitors to find greater pleasure in the spaces they inhabit, the exhibition helped heighten their awareness of the sensory realm of architecture and thereby encouraged perhaps the creation of a more rewarding built environment. 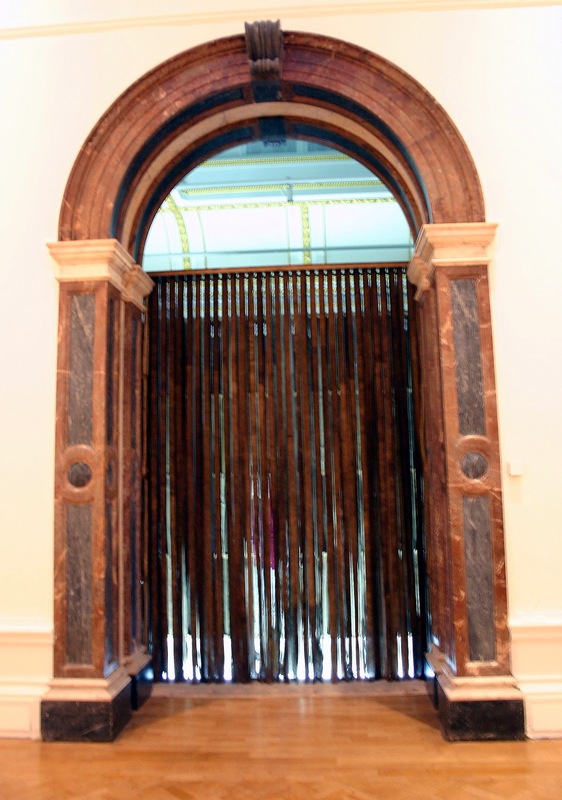 After the tunnel, one came up to a portal made by Eduardo Souto de Moura that echoed the frame of the entrance it was installed in. 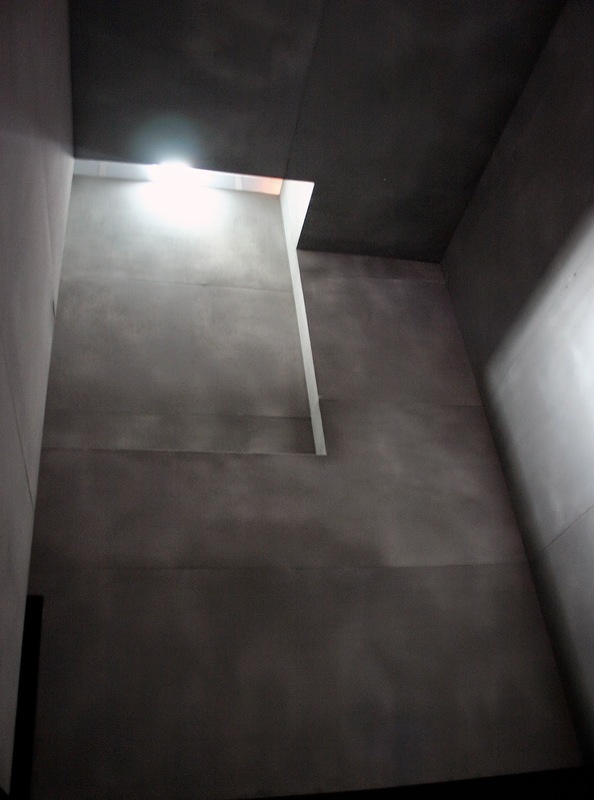 It gave me the impression of an added dimension to the space and building. 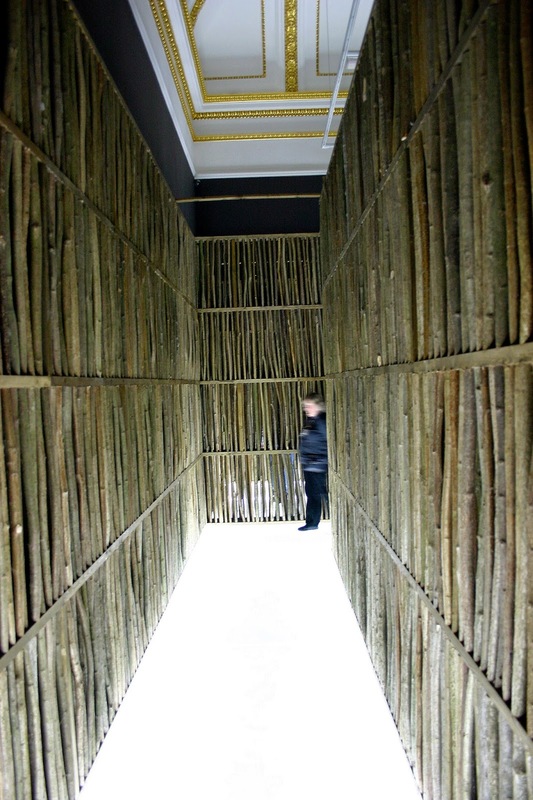 Right next to it, was the entrance to perhaps the nicest environment of the exhibition: the gate of Li Xiaodong's installation, a labyrinthine "hose"complete with courtyard/garden. 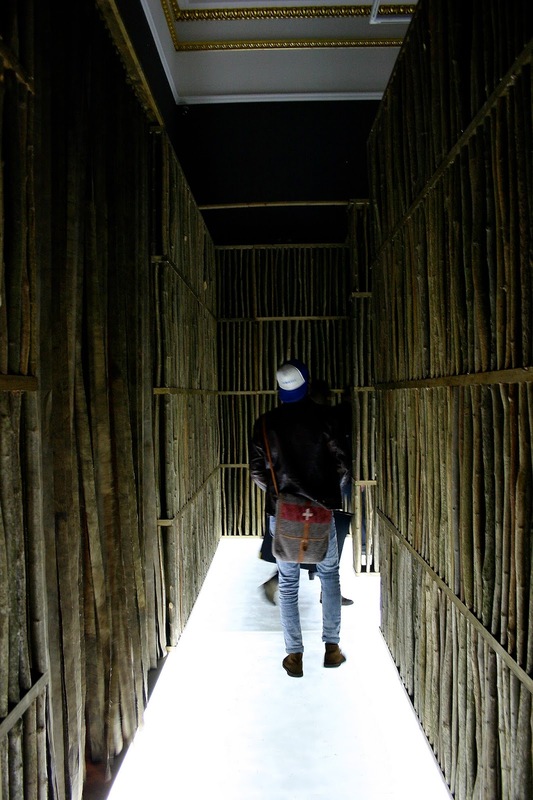 Going through it, with the brightly lit floor and wooden walls was an incredible experience. 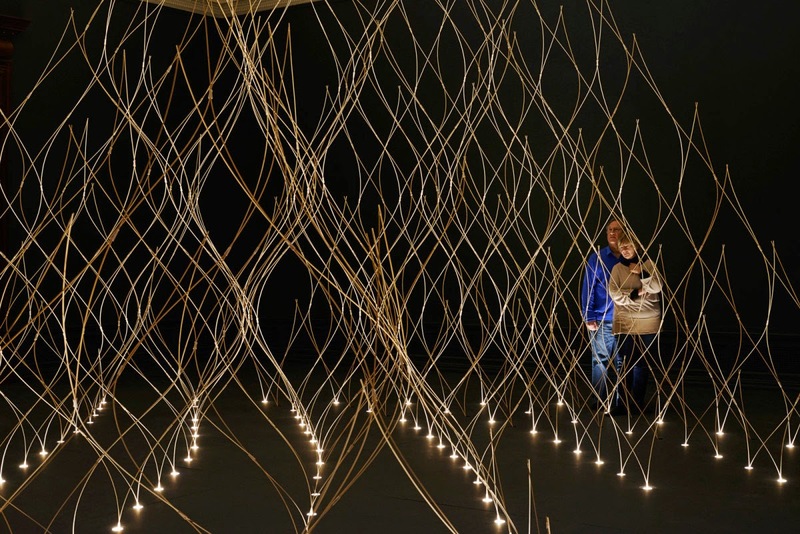 In this one can really "get" the connection between traditional and modern, local (Chinese) and international, while at the same time have all their senses alert to fully experience the installation. After the Chinese architect's installation, we came upon the most photogenic and probably most posted on social media installation: the Grafton Architects space. 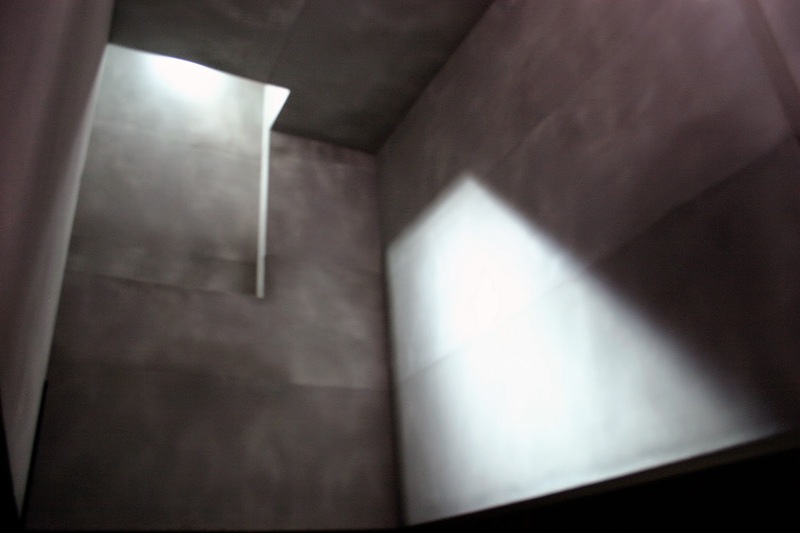 A play with volumes and light, it consisted of various forms that looked like concrete slabs (but surely weren't that heavy), alternating in height and dimensions. Simply brilliant. 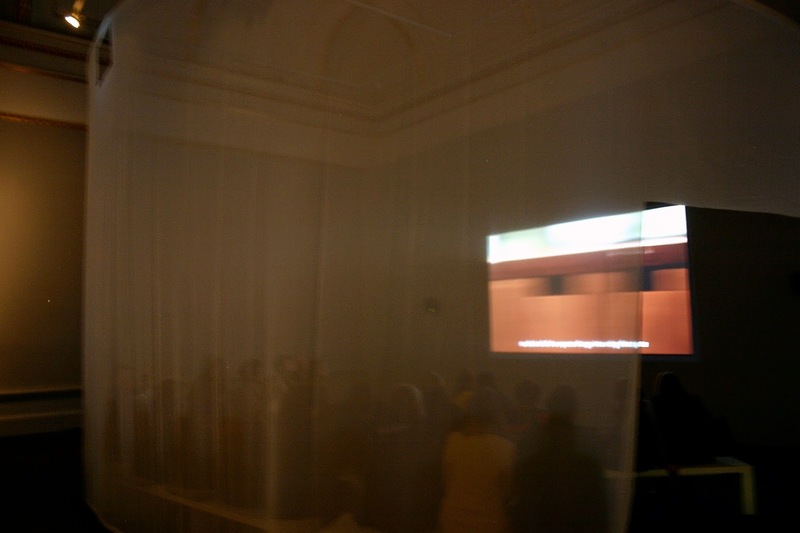 Then it was out to the exhibition's reception area, passing beforehand through a projection space cocooned in gauze. 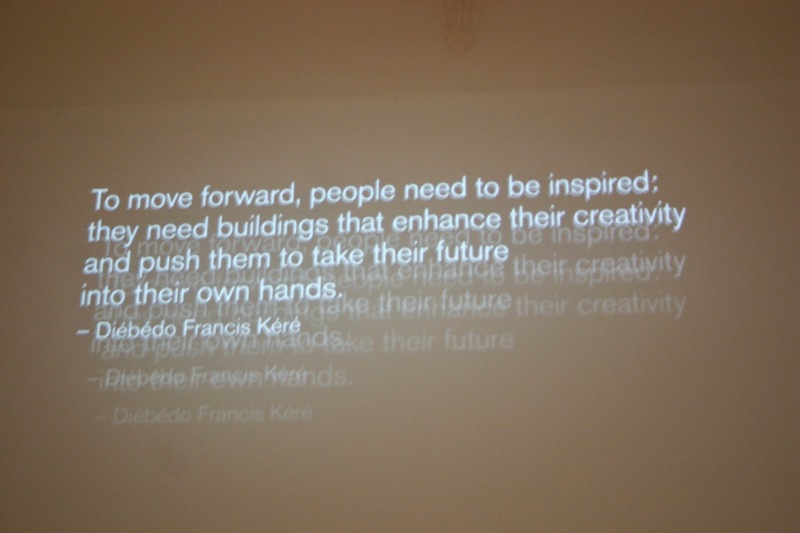 There were projections of snippets from the architect's views and quotes on the gauzy fabric surrounding the reception. One could get the quotes on printed cards for free, which was a nice detail. 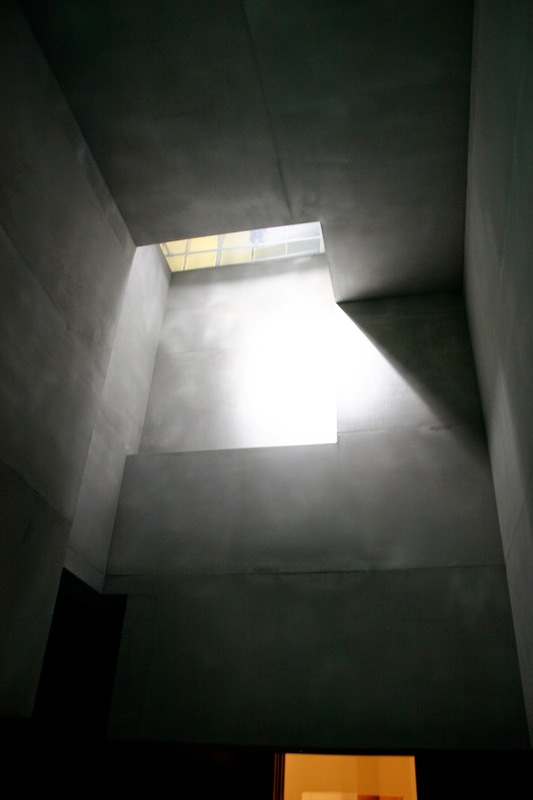 In the real courtyard of the Academy, one could also see the installation of Álvaro Siza. It was another fantastic exhibition I managed to see in London and one I will remember forever. 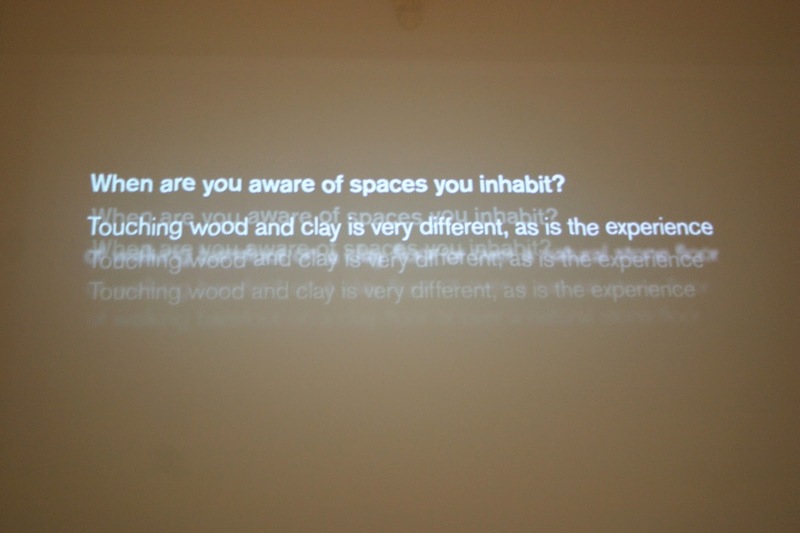 Parts of the text analysing the exhibition were taken from the leaflet accompanying it ,written by the curator, Kate Goodwin.